'The tree is located at the eastern end of the Poet's Bridge in Pukekura Park. 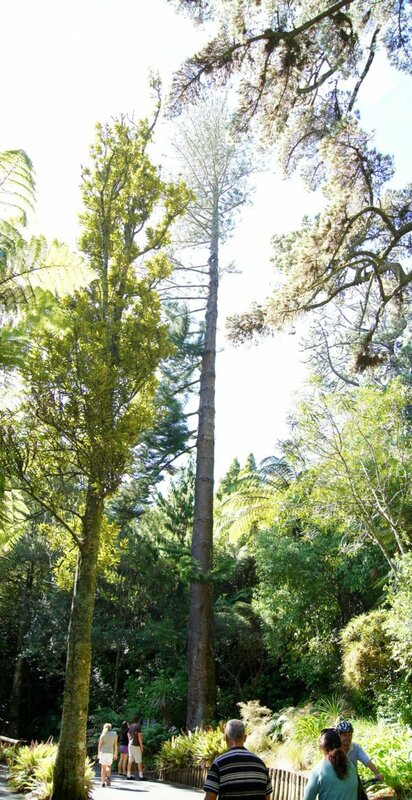 Quite easily overlooked due to the slenderness of the trunk, and somewhat shadowed by the adjacent hill, it is in fact the tallest tree in the the park, and said to be the second tallest of its species in NZ, after a tree in Yatton Park, Tauranga'. Ref. C. Smith, Notable Trees of New Plymouth, 2002. Tall, slender trunk, with a flattening top. Smillie, 2010. 05 Feb 2002 Smith, C.T. & Fuller, G.
At the east end of the Poet's Bridge on the boating lake in Pukekura Park.